n-ergy continue to strive for excellence across the company and in particular, with the service provided to our learners. Since our assessment in 2017, we have taken all of Sue’s recommendations on-board and have reflected on how we can incorporate these into our daily activities, strategic plans and employee engagement whilst remaining focussed on our learners. 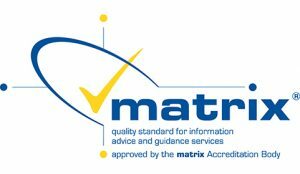 n-ergy continue to commit to the matrix Standards using the criteria to continually build upon our information, advice and guidance services. We would like to thank our employees for their commitment and support in achieving this accreditation and our learners and partners for their feedback. We look forward to our next surveillance visit in 2019.